In the previous blog we talked about the problems associated with being either hyperthyroid or hypothyroid. Now it’s time to talk about the good stuff—how we can keep our thyroid in good shape through proper nutrition. Most people do not realize that certain foods known as goitrogens can hinder the production of thyroid hormones. For example, soybeans are known to contain compounds that block an enzyme related to utilization of iodine, a critical nutrient for the thyroid. Yet some soy-based foods are safe for your thyroid. 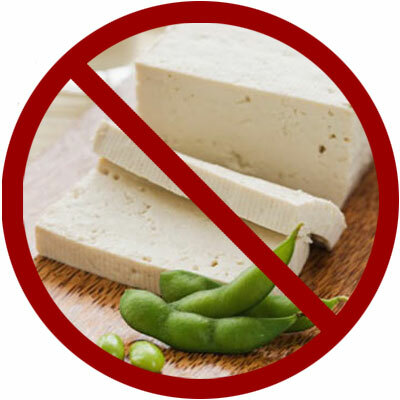 Orsha Magyar, MSc, BSc, RHN, states “I personally stay away from tofu, soy milk and even edamame, and educate my clients struggling with hypothyroidism to do the same. Fermented soy, such as tempeh and miso, in moderation are ok.” Another set of goitrogenic foods are the vegetables of the Brassica family, and it’s a big family that includes broccoli and many other greens. Fortunately, cooking these vegetables greatly reduces their thyroid-inhibiting compounds. If you have hyperthyroid symptoms, a quick tip is to cut back on caffeine and simple sugars, and add more complex carbohydrates and fresh fruits and vegetables to your diet. Then consider our app for a customized plan to help bring your metabolism back into balance. Finally, for maintaining overall thyroid health, be sure your diet provides enough B vitamins, vitamins A and D, selenium, magnesium, and zinc. All the information on the foods that supply the correct nutrients, and the supplements that can be helpful, are right there in our Weight Management App. Orsha notes obesity is at an all-time high, and that thyroid issues are rising dramatically as well (Synthroid has recently become on of the top prescriptions filled in North America). Could your struggles with weight be related to your thyroid?